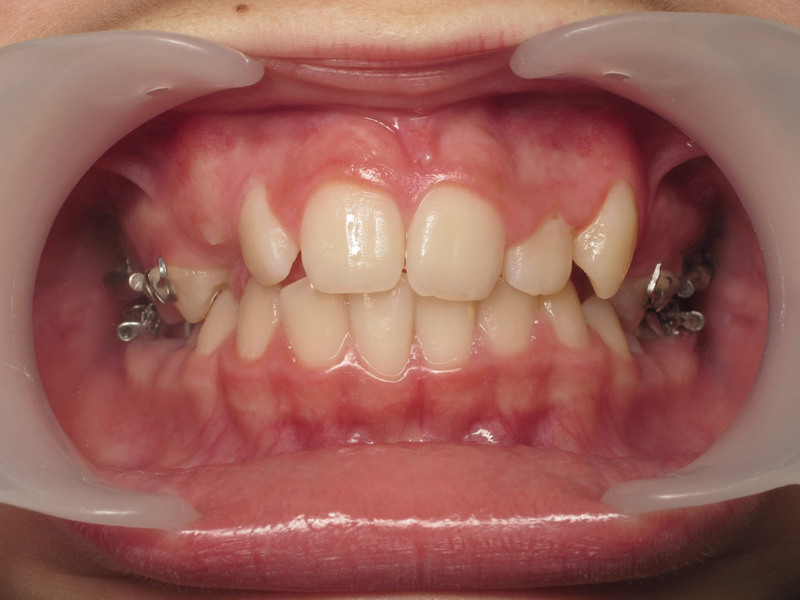 Female 10.4-year-old patient presenting a Class II,2 malocclusion in mixed dentition with no space for 13 and 23 which are still erupting. 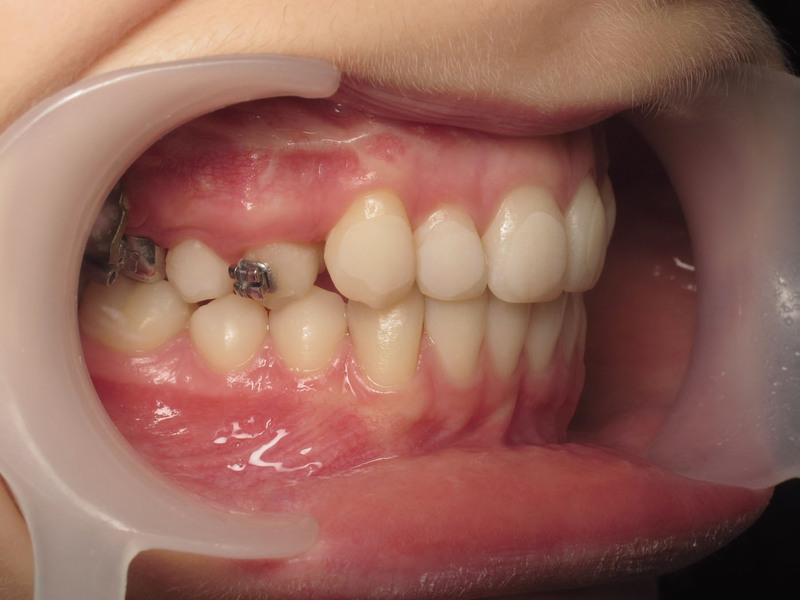 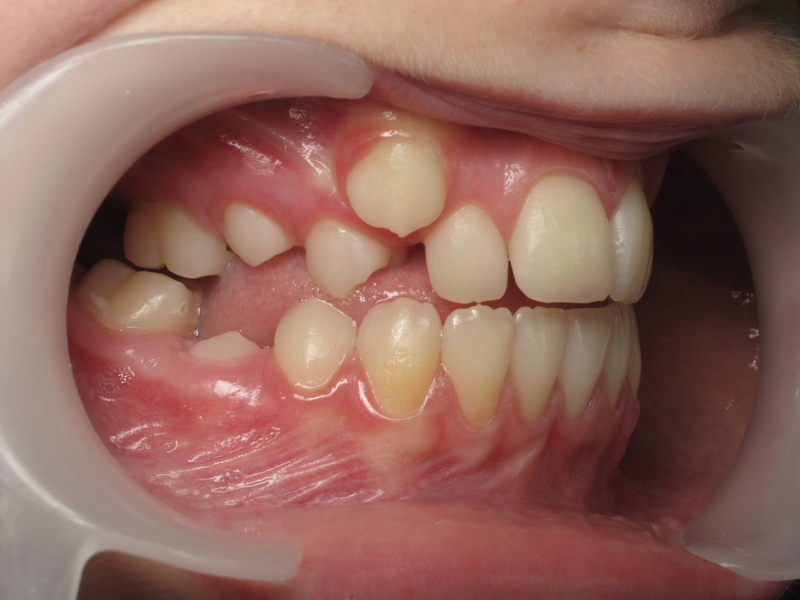 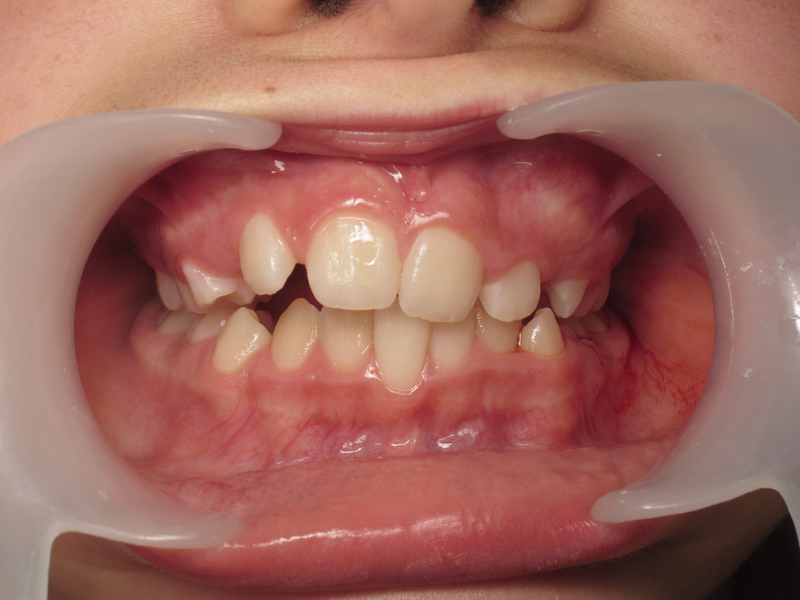 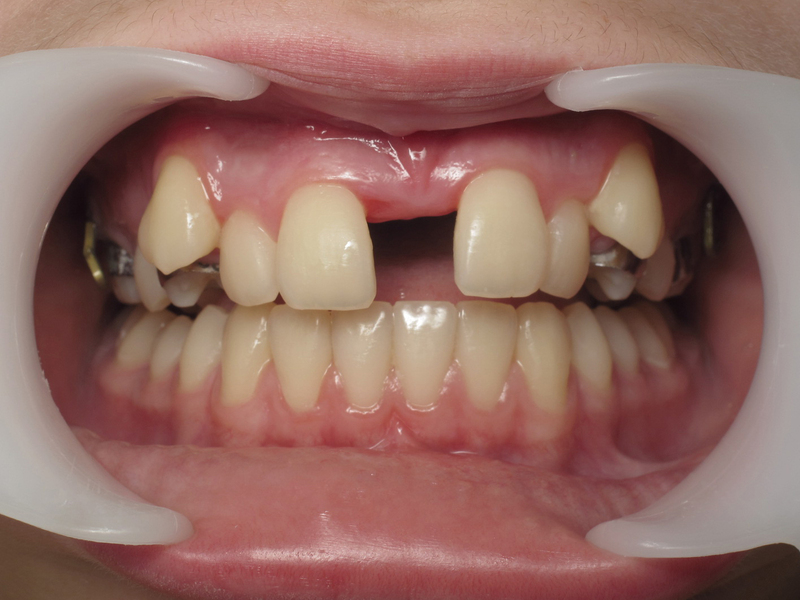 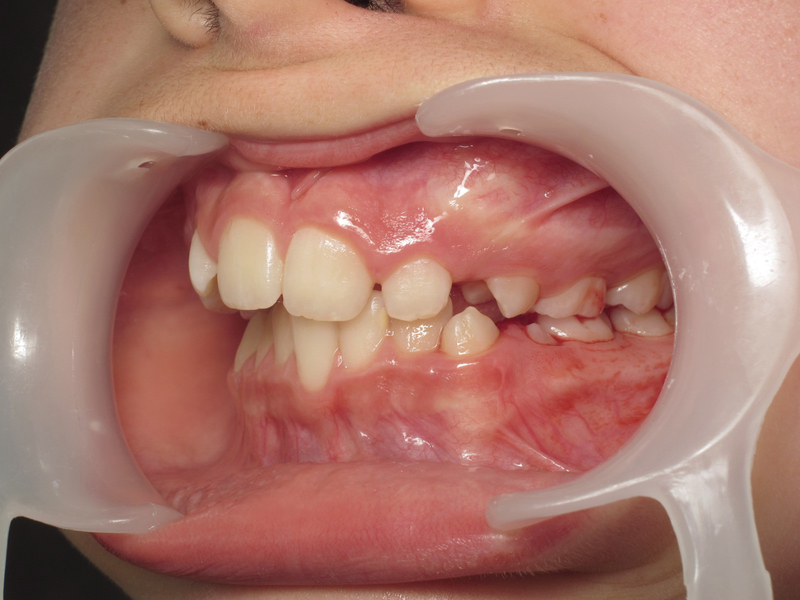 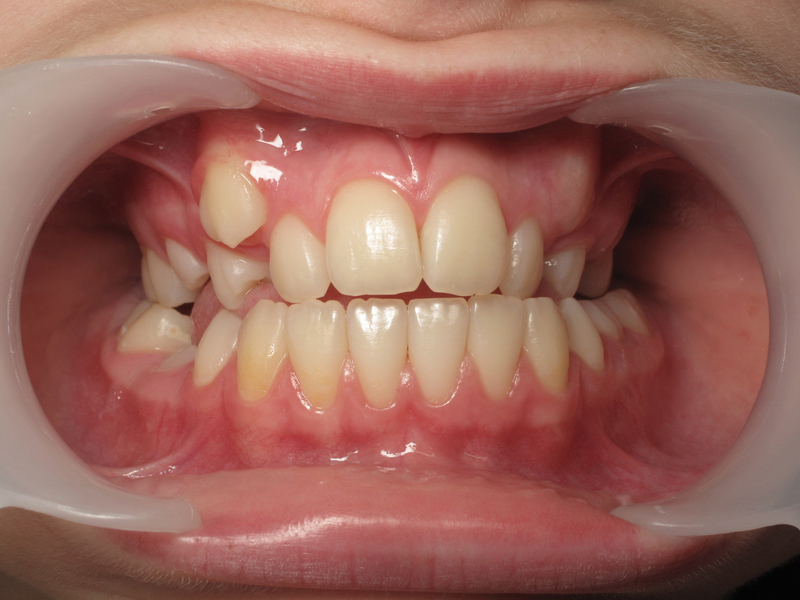 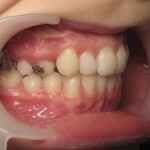 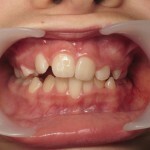 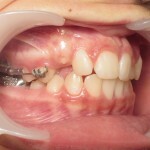 In order to avoid buccal emergence of 13 and 23, Class II correction therapy for mixed dentition was instituted. 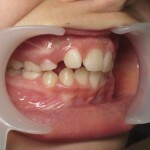 At the maxilla, 16 and 26 were banded; 14 and 24 were bonded. 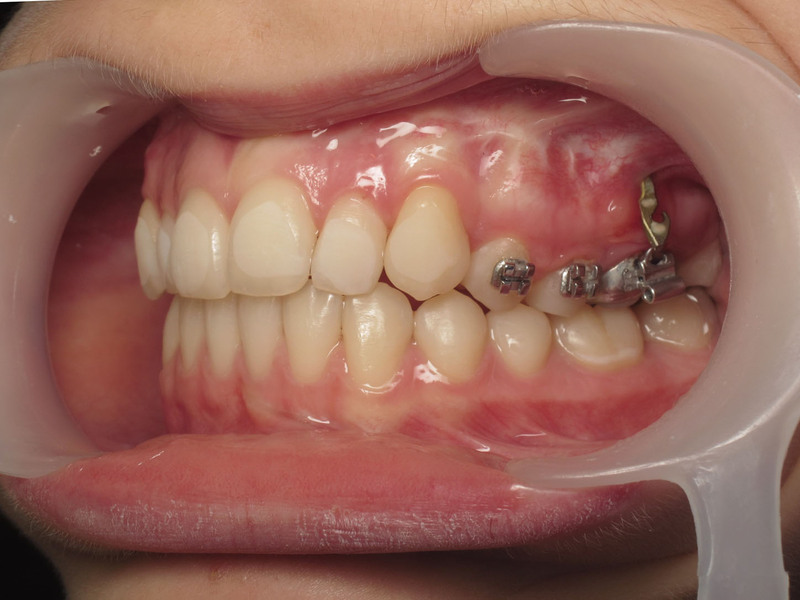 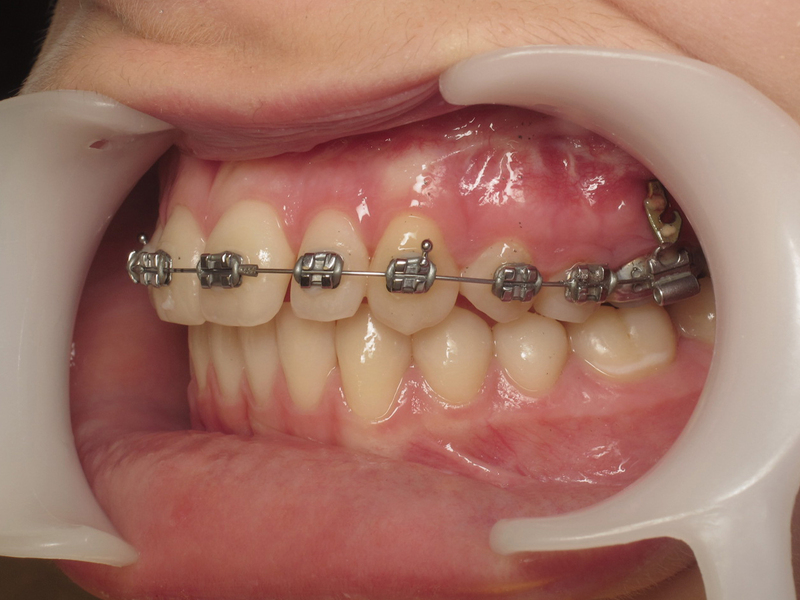 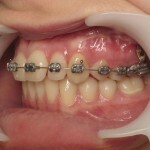 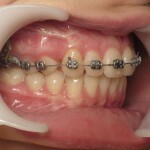 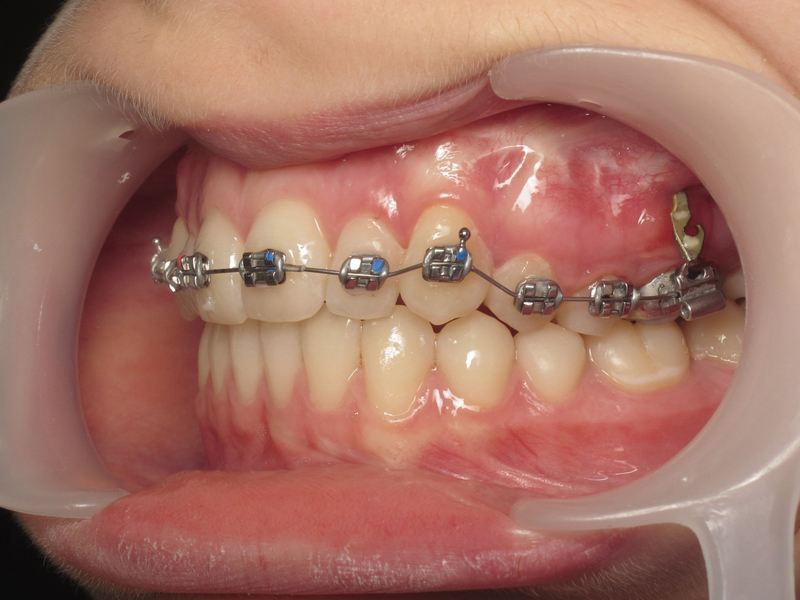 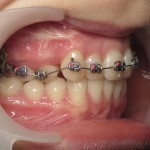 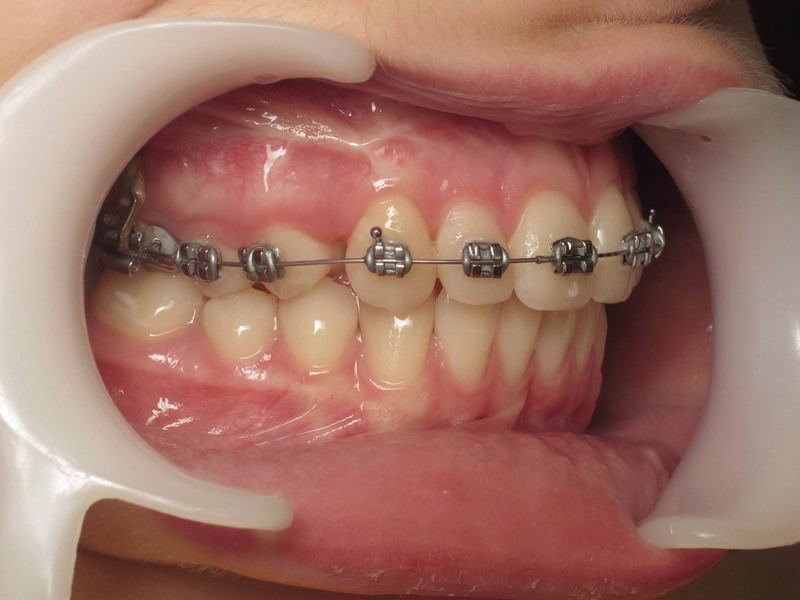 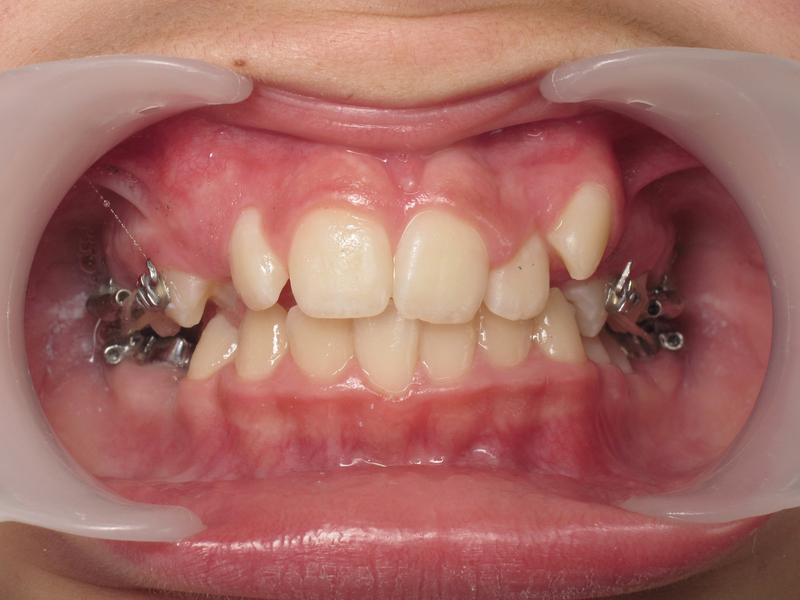 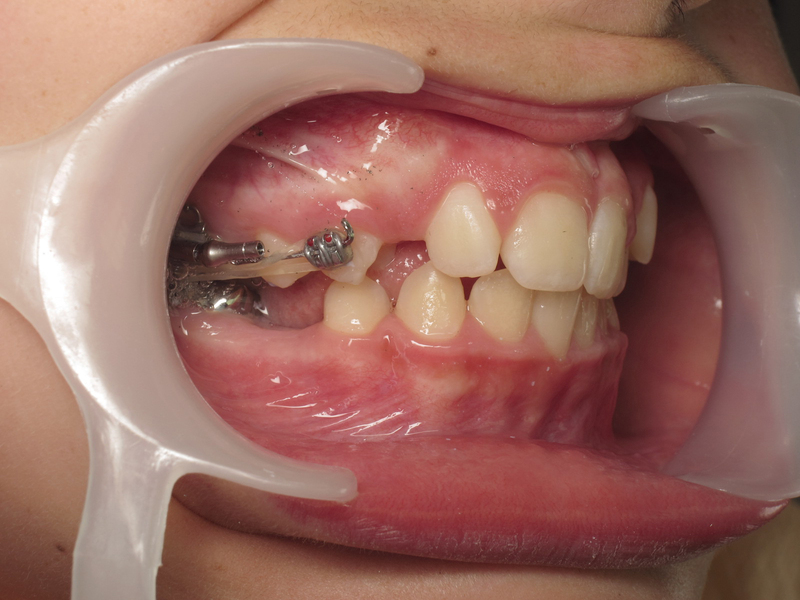 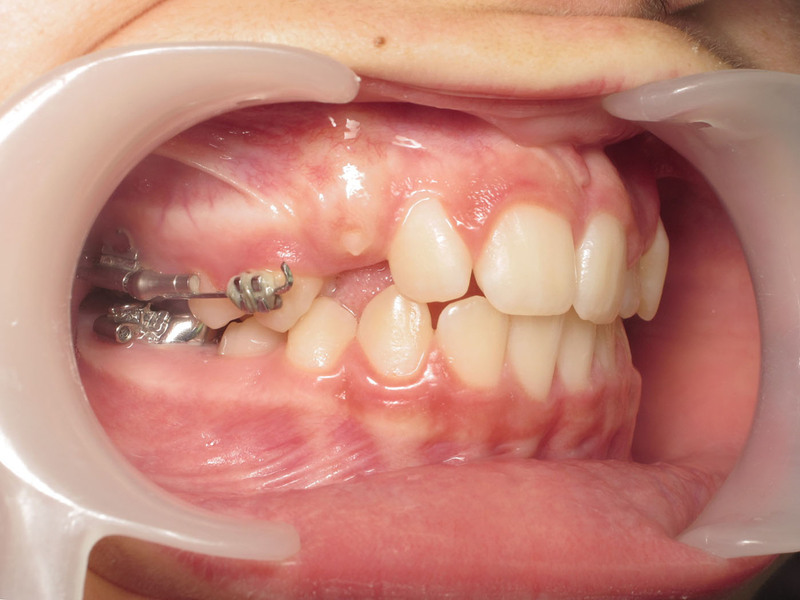 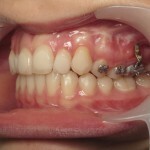 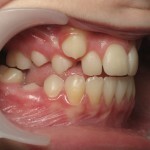 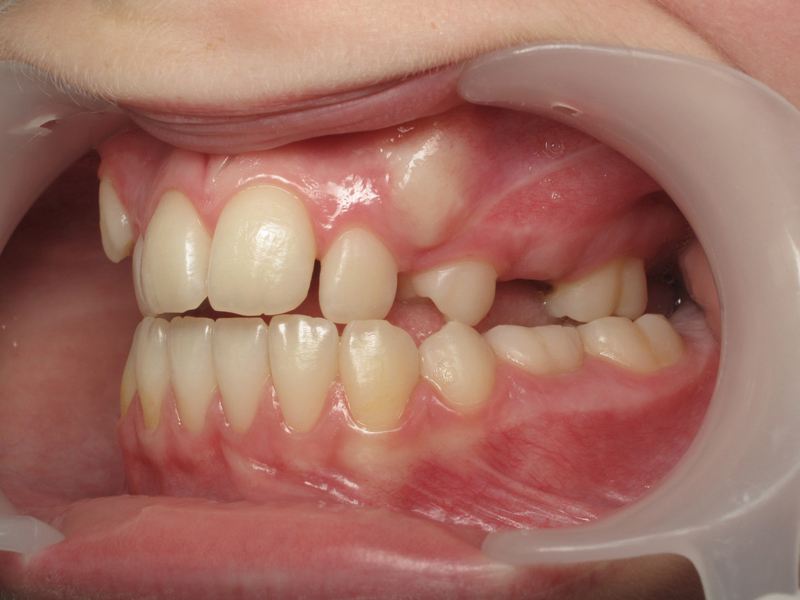 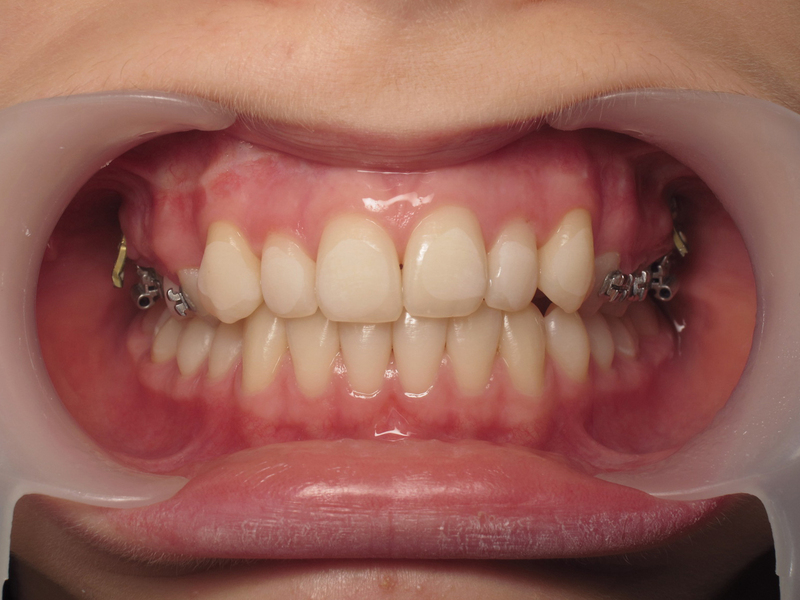 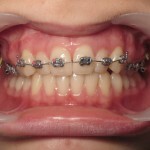 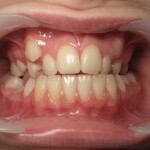 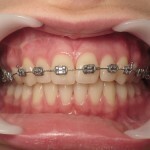 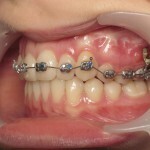 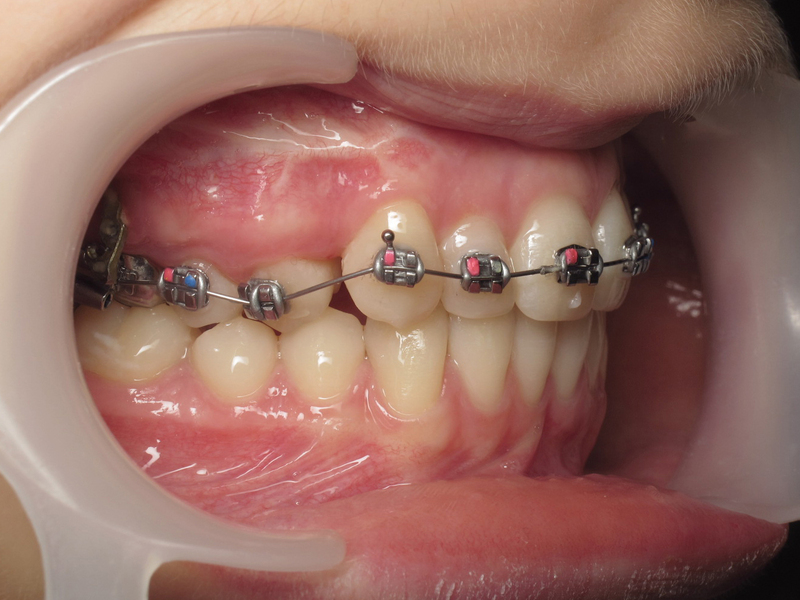 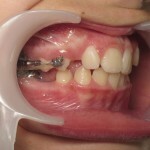 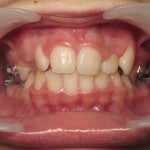 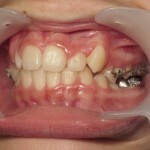 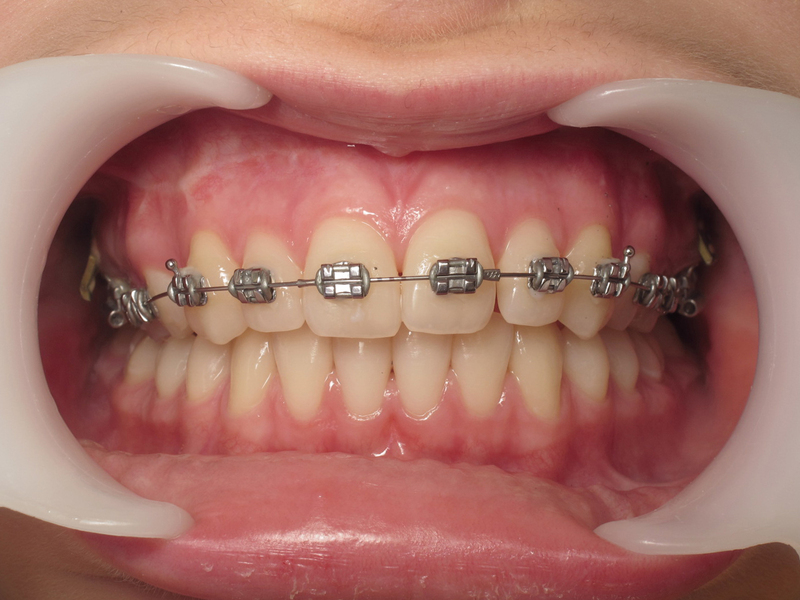 Optimax Distalers were placed bilaterally on these orthodontic supports. 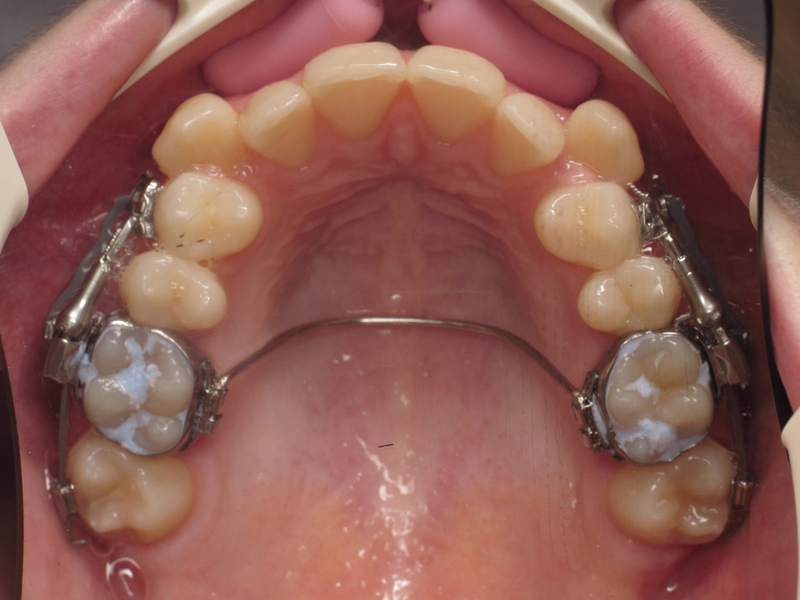 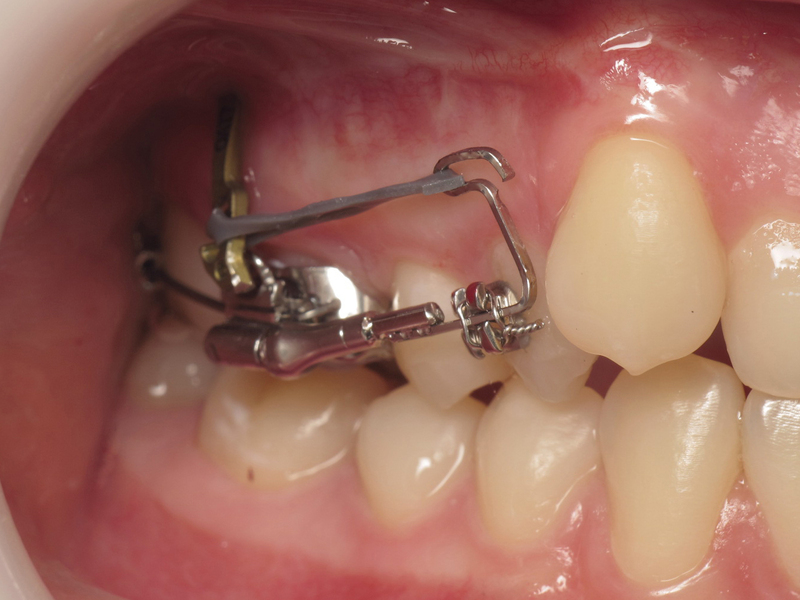 At the mandible, a lingual archwire was placed to provide anchorage for elastic traction to correct the Class II. 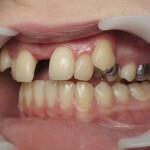 At 2 months, the combined Optimax Distaler / IMT II therapy was successful and the Class II was corrected. 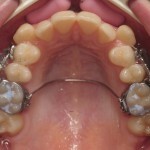 At 6 months, Class I has been achieved. 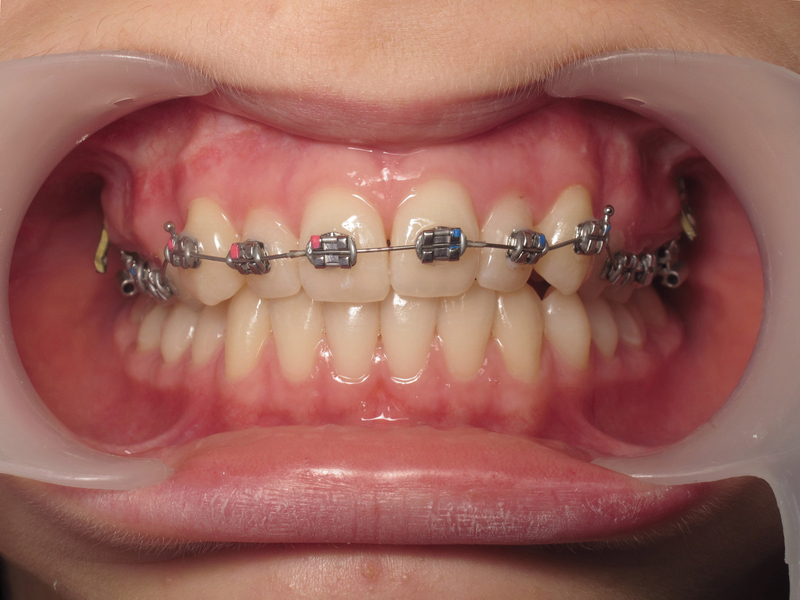 13 and 23 are now properly positioned. 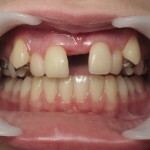 Note, nevertheless, the labial tipping of the lower incisors. 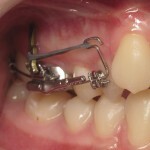 Natural anchorage and the anchorage provided by the lingual arch were insufficient. 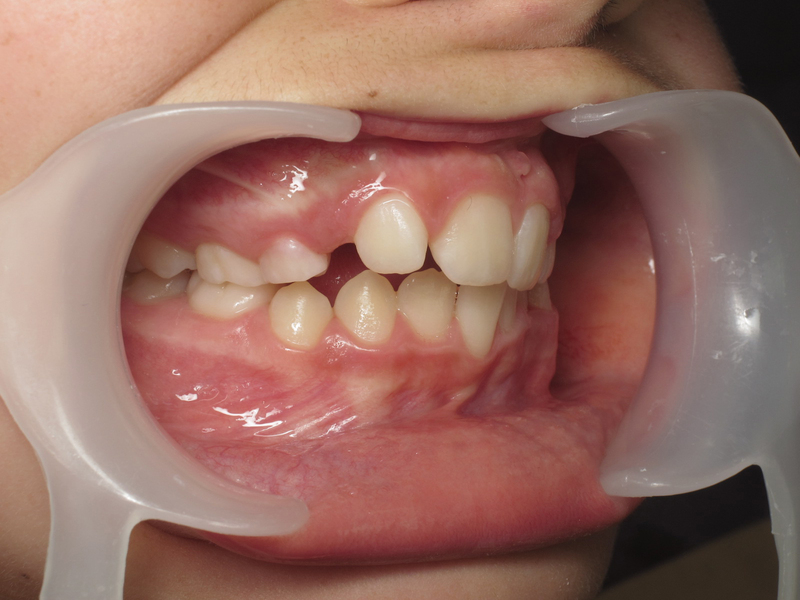 Female 14.3-year-old patient presenting a Class II,2 with a very narrow maxillary dental base and lack of space for the eruption of 13 and 23. 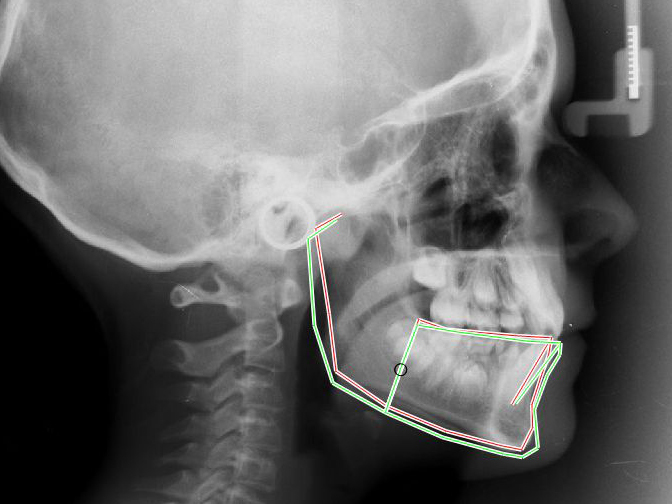 No mandibular crowding is evident. 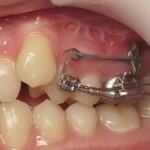 Management of the transverse dimension is achieved by surgical distraction. 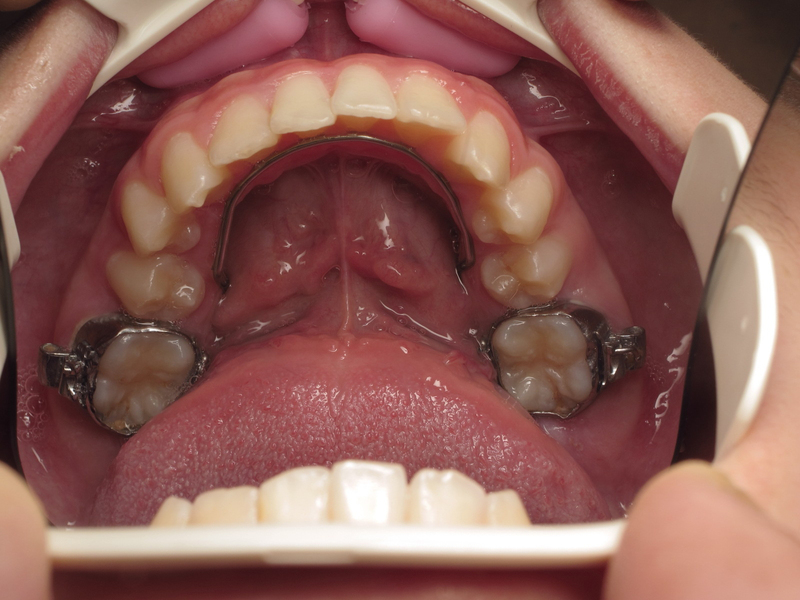 During the surgical phase, TEB plates (Ancotek system, Tekka) are placed in the 10 and 20 segments opposite 16 and 26. 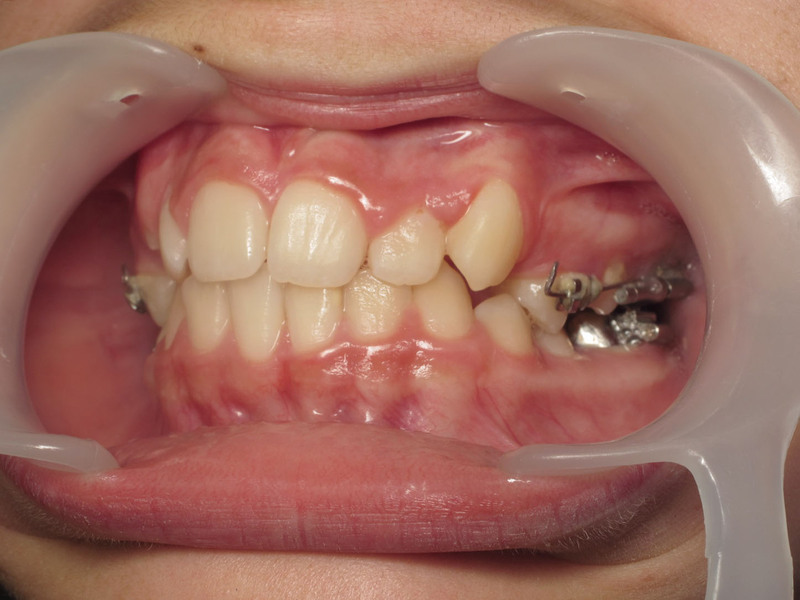 Six months after distraction, the maxillary lateral segments from 4 to 7 were fitted (bands with EOT on 16 and 26 + transpalatal arch, bonding of 17 and 27 + 14 and 24 and placement of the Optimax Distalers). 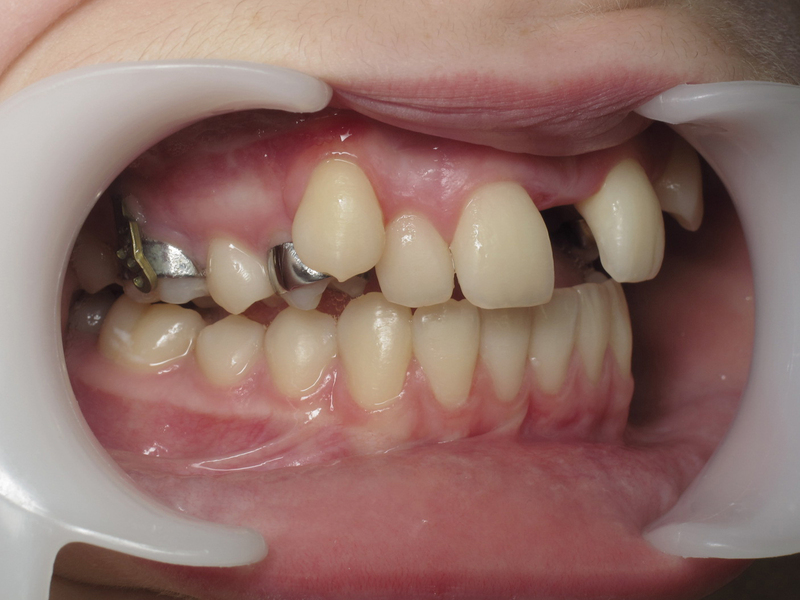 Traction modules connecting spurs fitted to the Optimax Distalers and the anchorage platelets ensured retraction of segments 10 and 20. 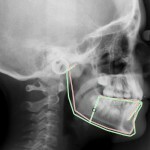 The mechanics was appropriate and did not call for mandibular anchorage. 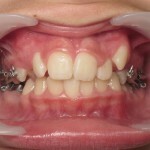 At 8 months, bilateral Class I had been achieved. 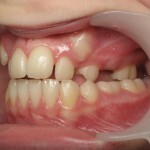 The canines moved spontaneously into place. 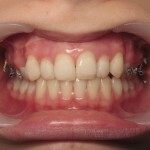 Next, a full multibracket appliance was installed replacing the Optimax Distalers. 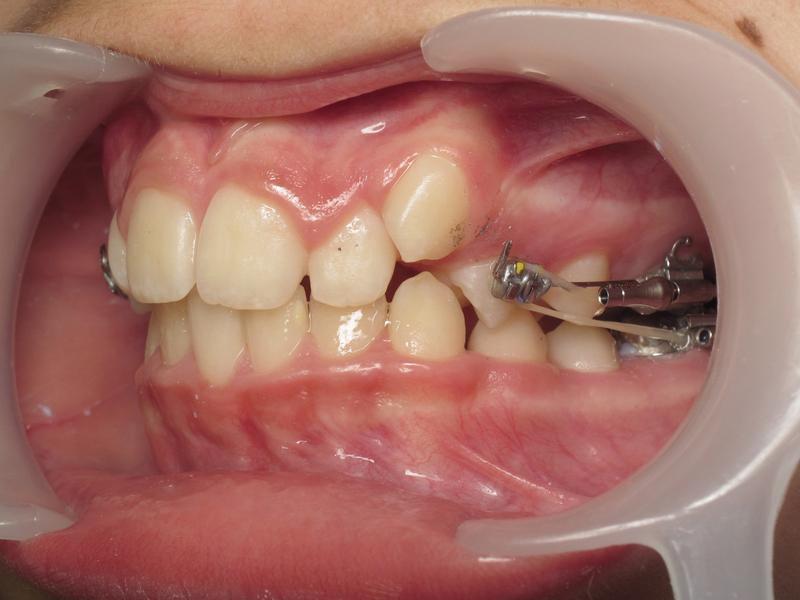 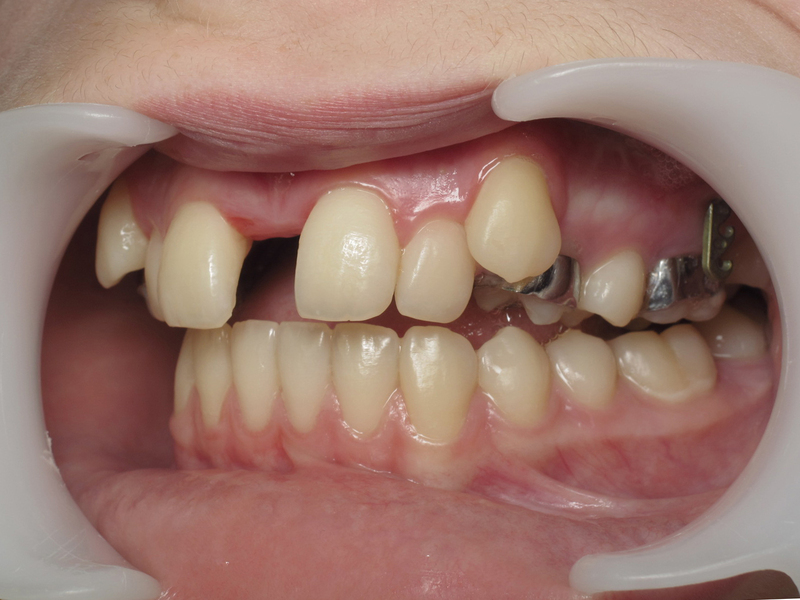 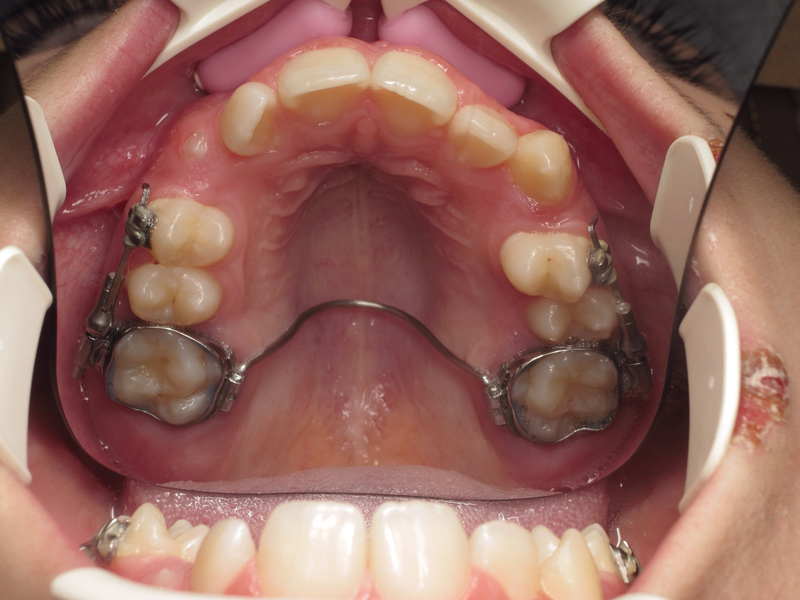 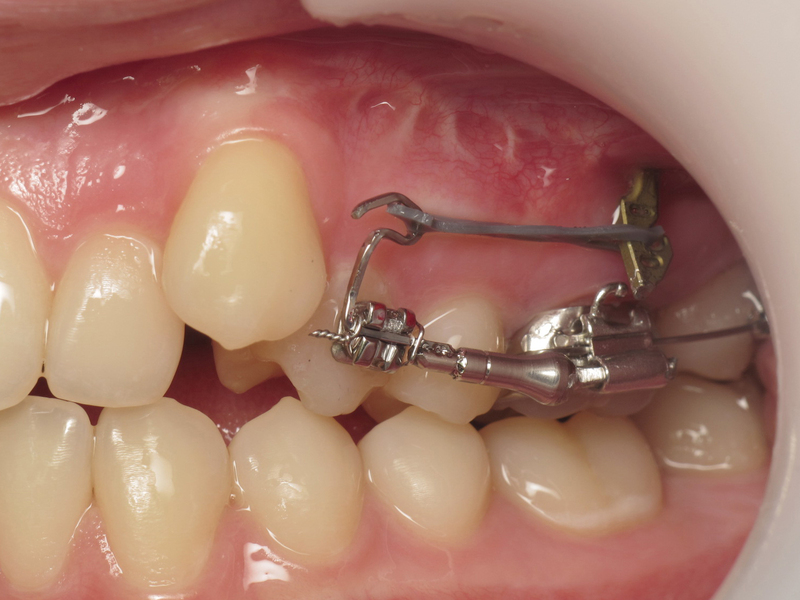 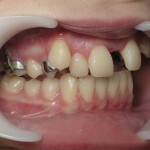 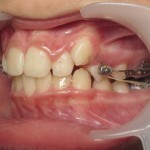 Final refinements were made without having to place a mandibular multibracket appliance or call on mandibular anchorage.